This delicate necklace goes with just about every look imaginable. 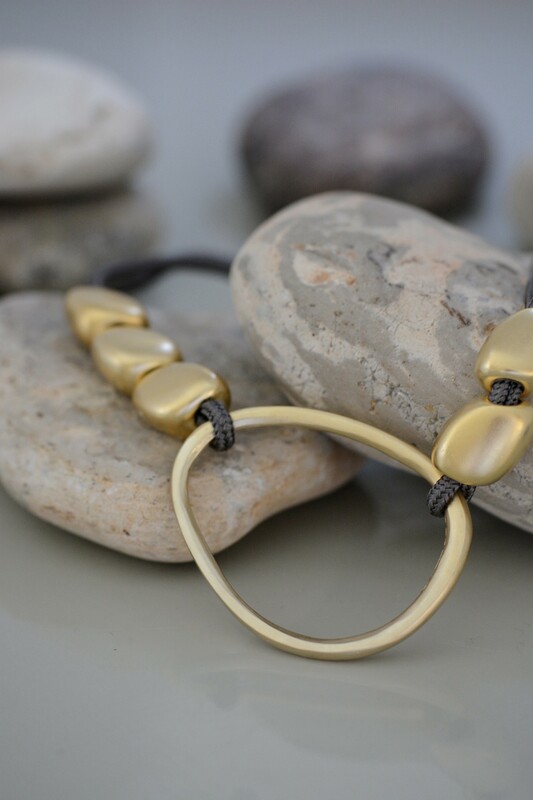 It features silk mocha-colored rope, gold-colored metal casings and small stones all artfully combined into one chic and contemporary design. This delicate necklace goes with just about every look imaginable. Wear it to a day at the office, a night on the town or a weekend with friends. 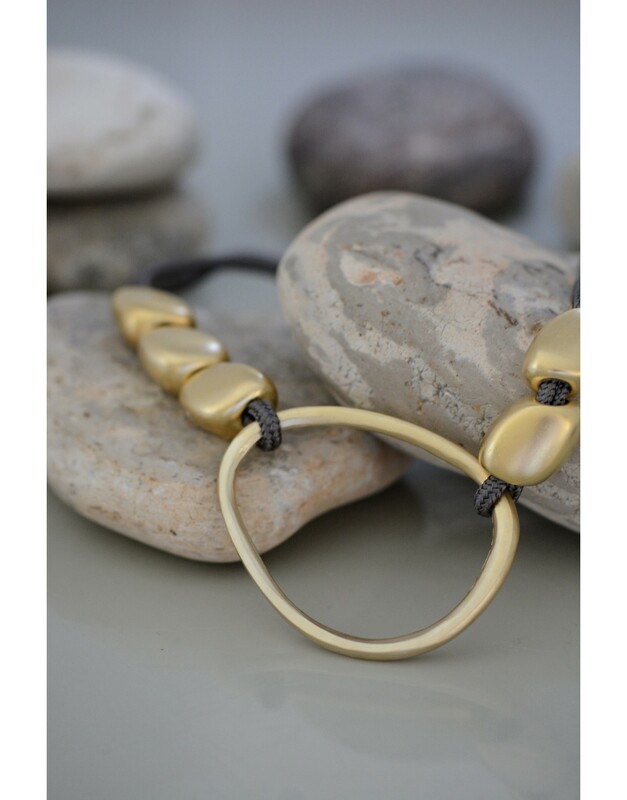 This beautiful and versatile piece features silk mocha-colored rope, gold-colored metal casings and small stones. A lovely design and a perfect addition to any outfit.